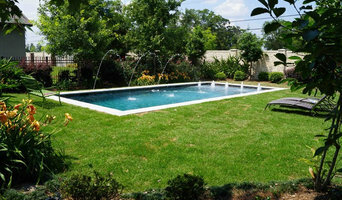 Pleasure Aquatech Pools has been building custom inground pools in and around metro New Orleans since 1994. Since 1984, this father/son family business has been serving the New Orleans area with swimming pool. Please visit our site at www.nolapools.com. Thanks! Extraordinary Flooring, LLC., is Louisiana's leading decorative concrete, concrete and stone paver and hard surface flooring specialist. We offer a full range of decorative concrete applications as well as all tile,stone, hardwood & paver services. From start to finish and throughout the entire process. We are committed to providing you a first class experience. When EXTRA is more important than ORDINARY call EXTRAORDINARY FLOORING! With more than 25 years of experience, Holston Pool Builders Inc. is the Coast’s authority for the best in swimming pools and spas. Pool builder for one piece fiberglass and custom gunite pools. Outdoor kitchens, water features, pool fences, and fireplaces. Holston Pool Builders Inc. uses only the top brands of pool products and equipment. We are proud vendors of Trilogy fiberglass pools as well as Polaris and Jandy brand products. Our pools and accessories are made in the USA. We can build you a beautiful gunite or fiberglass pool, as well as add a custom splash pad as a lower cost option to a swimming pool. We believe water is therapy, so let’s jump in. WE ARE READY TO DESIGN THE POOL OF YOUR DREAMS – JUST GIVE US A CALL A pool is more than a place to swim. It is a place where memories that last a lifetime are made. Holston Pool Builders believes that the memories should start with worry-free construction from start to finish. We would like to have the privilege of helping you begin to make these memories a reality. Holston Pool Builders Inc. is a locally owned and operated business. It’s also run by family, and that’s something we take pride in. Owner Jimmy Holston started the company based on a gift – his parents bought him his own fiberglass pool as a high school graduation present, and Jimmy ended up going to work for the very company that came to install it. He worked his way through school and in 1998 started Holston Pool Builders Inc. with his father. The crew at Holston Pool Builders Inc. has more than 25 years of pool and construction experience. Our company is fully licensed and insured, as well as a member of the Association of Pool Spa Professionals. We are proud to provide quality pool products that are made right here in the USA and assembled locally by a family-owned company. 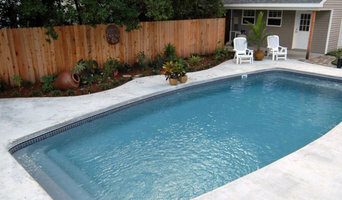 For more than 24 years, Tropical Pool Services & Renovations has provided the North and South Shore areas of New Orleans, Louisiana with exceptional pool design and construction services. We are a CPO (Certified Pool and Spa Operator Certified) business that is fully insured and licensed. We have a proven track record of getting the job done right the first time around. At Tropical Pool Services & Renovations, we stand behind our work. No exceptions. All of our materials and parts are covered under a manufacturer’s warranty. If you purchase and install the materials through us, we also provide a labor warranty for 90 days for most of our products (consumable parts such as cleaner bags or pump seals are exempt). Our team provides a wide range of services for both residential and commercial properties, from resurfacing to lighting and controls. We have fully equipped repair trucks waiting and ready to service you. No matter the size or scale of your project, Tropical Pool Services & Renovations will complete everything to your satisfaction on time and within budget. Over 30 years of custom pool, spa building–and more! From start to finish, we focus on our customers needs, not our agenda. We'll design and build a pool that fits your landscape, your lifestyle, budget, and the ways you want to enjoy your pool. Our business is all about delivering the best possible results, always constructed with quality and lasting value. We are a premier in-ground gunite swimming pool company. We are a builder, & contractor for commercial and residential projects on the north shore and south shore of Lake Pontchartrain, Mandeville, New Orleans, Lacombe, Covington, Slidell, lower Mississippi, Hammond, and the Baton Rouge area. We also provide high quality, competitively priced maintenance and cleaning service, repairs, warranty replacements and services, remodeling, landscaping, and other construction services. Our premium quality pool enclosures offer you the luxury of a maintenance-free outdoor living environment without mosquitos, gnats, snakes, and the constant cleaning of leaves. Oasis Pools and Spas is a locally owned professional pool building company, specializing in custom designed swimming pools and spas. By limiting the number of custom pools we build each year, Oasis Pools can offer you unmatched personalized attention with added attention to detail. By using a gunite construction process, we can build a pool of any shape or size you can imagine. We also have a variety of exciting shapes and sizes to choose from. To enhance your pool, Oasis Pools can offer you an easier way to naturally chlorinate your pool and provide automatic wireless digital pool computer controls. 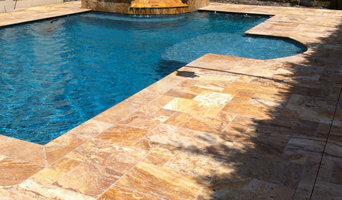 To add even more elegance, Oasis Pools offers beach entries, tanning shelves, fire pits, fireplaces, gazebos, raised walls with water features, mosaics, aggregate plaster finishes, travertine or slate tile & coping, baby pools, automatic pool covers, custom waterfalls, or a raised spa with spill-over. We also can do all of your pools landscaping, lighting, irrigation & drainage. Deep Blue Pool & Spa offers custom pool & spa installations, repairs, maintenance, and more! We have over 20 yrs experience in building custom pools. We offer reliable, clean, professional, and prompt service. Our knowledgable experts want to create the pool and spa oasis of your dreams! Contact us today for a free no-hassle estimate. Let’s get your project moving forward today! Aquarius Pools Inc. specializes in custom gunite pool construction. Established in 1976, Aquarius has built over 2,000 pools in the Greater New Orleans area. What exactly do Eden Isle pool builders do? If you are planning for a new pool in Eden Isle, LA, a swimming pool builder will analyze your outdoor space and your aesthetic wishes to determine an appropriate design for your yard, installing it once the plan is developed and approved. Once installed, some pool companies in Eden Isle, LA can handle the necessary cleanings, water testing, renovations and equipment replacement or repairs for your pool or spa. If not, many can also suggest Eden Isle, LA swimming pool contractors or maintenance services to help with upkeep or repairs down the road. Here are some related professionals and vendors to complement the work of swimming pool builders: Garden & Landscape Supplies, Landscape Architects & Landscape Designers, General Contractors, Landscape Contractors, Solar Energy Contractors. Before hiring a swimming pool construction company to create your new Eden Isle, LA pool, determine how you'll be using it. Will it be for fun or for lap exercise? Will the primary users be children, adults or a mix of the two? Knowing the use can help you find Eden Isle pool builders who shares your aesthetic. Once you find swimming pool builders in Eden Isle, LA who share your style, research is critical. Review customer references and comments, collect at least three to four estimates to compare, meet with potential Eden Isle pool designers and builders in person and ensure that they are Louisiana certified service professionals and licensed with the registrar of contractors before making any final decisions. In addition, get a sense whether they plan to complete the pool installation and be done with it, or whether they seem interested in building a long-term relationship with you. Be wary of the former: it's likely a reflection on the level of quality of the pool construction they do. Find an Eden Isle pool contractor or designer on Houzz. Narrow your search in the Professionals section of the website to pool builders in Eden Isle, LA. You can also look through Eden Isle, LA photos by style to find a pool or spa you like, then contact the local pool company who designed it.